For most of us, summer is a time of bounty. Home gardens, farmers markets and roadside stands overflow with delicious fresh fruits and vegetables. However, for many low-income children the end of the school year is nothing to celebrate. For them, no school means no school meals. Across Harvesters’ 26-county service area, an estimated 100,000 children receive free and reduced-price school meals. The children who rely on school breakfast and lunch programs for nourishment during the school year often are left without enough to eat during the summer, when childhood hunger is at its worst. Feeding America’s 2014 Map the Meal Gap study shows that one in five children in Harvesters’ service area is food insecure and at risk of hunger. Forty–one percent of food-insecure children live in households that are not eligible for federal nutrition programs, such as SNAP/food stamps or free or reduced-price school meals. Research shows that children consume up to 50 percent of their total daily calories at school during the school year. Data from Share Our Strength finds that families spend an additional $300 on groceries during the summer. Low-income families, already strained to pay for housing, utilities and medical expenses, struggle to make up that other 50 percent. Food-insecure children are more likely to require hospitalization and are at higher risk for chronic health conditions such as anemia and asthma. Evaluations of Harvesters’ BackSnack program show how students benefit from having enough food on the weekends. During the school year, BackSnack students miss less school, can concentrate better, and therefore, make better grades. Food banks like Harvesters know better than anyone that kids aren’t getting enough to eat during the summer. As schools close, pantries and kitchens in our network see an increase in the need for kid-friendly foods. Unfortunately as the need goes up, Harvesters sees a decline in food drives and volunteering as schools and organizations take summer breaks and people go on vacation. Our Kids Cafe program will provide meals at 62 sites this summer, including parks, swimming pools, library branches, community centers and schools. Harvesters’ summer BackSnack program will serve 4,300 children, primarily during summer school sessions in June. 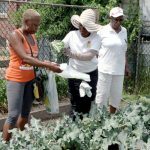 The federal Summer Food Service Program intended to feed children in the summer serves only a fraction of those in need. Among the states, Missouri and Kansas rank 45th and 48th in the nation, respectively, in the number of children served by summer feeding programs. Both states serve fewer than 10 percent of children receiving school meals. To feed children this summer, Harvesters needs the community’s support through gifts of food, time and money. 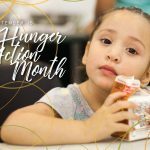 A longer-term solution to the summer hunger problem will require all of us across the public, private and nonprofit sectors advocating for strong federal nutrition programs. Working together, we can ensure that every youngster has a summer vacation that includes three meals a day.